The inaugural Unibet Champions League of Darts commences on Saturday from 1.15pm live on BBC One from the Motorpoint Arena in Cardiff as the top eight players in the World do battle in a round robin format over two sessions (evening 6.30pm BBC Two), before the semi-finals and final will be played out over two sessions on Sunday when our first winner will be crowned. The format is an extended best of 19 leg format during the group stages so we should be able to find some good value rather than having to deal with the best of 11 legs shoot out with minimal margin for error. Without dwelling too much on the outright market as it is hard to look beyond World number one Mighty Michael van Gerwen. Winner of his last six events including a triple floor tournament success in Barnsley mid-week, hitting two 9 Dart finishes in consecutive days and this was after claiming back to back Euro events which have resulted in Van Gerwen currently riding a 41 game win streak. incredibly the majority of these games were over the short, race to six format, so with MVG able to flex his muscles more freely this weekend over the longer distance the 8/11 looks a fair price, where it will be difficult to gain better interest from any bank over two days than this. 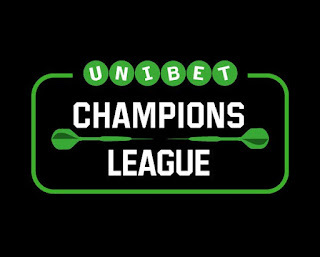 Phill Taylor and Gary Anderson are the realistic dangers at 5/1 co-second favourites however MVG stands tall above all rivals at present. Value seekers will hope for a spark from Adrian Lewis at 14/1 although he has been shy of his top form and don't expect it to reappear until the William Hill World Championships come December. Peter Wright is playing solid darts however at 18/1 looks short enough considering he is yet to win a PDC Major. James Wade at 22/1 can pop up at any time and the matchplay format will suit however he is short of the form that the top three in the betting are producing right now. Michael Smith is at 33/1 and is out of form and playing with pressure on his shoulders st present and Robert Thornton is having a year to forget where the 100/1 suggests he is out of his depth on current evidence. Reigning back to back World Champion Gary Anderson 2/7 plays his young prodigy the former World Youth Champion Michael Smith 3/1 and it could be a tough match-up for the out of sorts Smith from St Helens in the tournament's opener. The flying Scotsman won three World Series events over the past few months and comes here fresh after a short break from the demanding tour schedule. Smith has been really struggling and with him playing an opponent he holds so much respect for, I see Anderson pulling away in this one. The handicap looks an option at -3.5 but at better odds I prefer the Total 180's in the match market where under 10.5 appeals at Evs with Coral, Betvictor, and Betway. Smith has been erratic of late and when chasing the game as I expect, the mechanics will be under severe pressure and with Anderson playing his first game in a few weeks could be rusty and be happy to play solid with his 140's and 137's. The total legs are not expected to go deep so the Under's on the 180's look the call at 10 or less. Two big rivals clash in what looks like a pick'em match. Lewis is best priced 3/4 whilst Wade is at 5/4. Lewis has had a month off prior to this week's event in Barnsley where he reeled off some nice wins until bumping into Michael van Gerwen in round 4 who produced a 6-0 whitewash against the two-times former World champion. Wade played excellent on the Euro Tour but then losing to Barrie Bates and Micky Mansell will not have been expected from the Machine's camp coming into this tournament. It is hard to call a winner with Wade leading overall in the head to head but Lewis winning the last five, so the market appealing most at the prices is the total legs where I see it going over 16.5 at 10/11 with Skybet or 4/5 with Winner and StanJames acceptable for a 10-7 win or closer to either player. A tough one to call with all markets looking well covered so a watching brief and a no bet match. Two players at opposite ends of the form guide, this could be over very quick however in the same breath Thornton has had success over MVG with the final of the World Grand Prix in Dublin fresh in the memory from just under 12 months ago. Thornton is way off that form and has done nothing since that title. This is another one where due to the one-sided expectancy I prefer the Under's on the total 180's in the match rather than a handicap or total legs. The bar is set at 9.5 at 5/6 with Betbright or 4/5 with Winner and 8/11 general, with only 13-14 legs probable it is hard to see the maximums reach double figures. Michael van Gerwen to win Outright @ 8/11 General. Total 180's - Under 10.5 @ Evs Coral, Betvictor & Betway. Total Legs - Over 16.5 @ 10/11 Skybet. Total 180's - Under 9.5 @ 5/6 Betbright.